You would be amazed at just how common roofing scams are. Unfortunately, here at Eagle Watch Roofing, we aren’t amazed at all. We know all too well how common roofing scams really are. We’ve seen too many homeowners who have been cheated and ripped off by criminals who dress up as roofers. That’s why we take your trust so seriously. We don’t want you to trust us or any other roofer without doing your homework. That’s why we are exposing these common roofing scams. We want you to know how to avoid falling for a roofing scam. Why Are There So Many Scammers? Homeowners don’t know much about their roofs. Getting your roof fixed quickly is so important that many homeowners jump at bad deals. Roofs last a long time, so it is unlikely that a homeowner has much prior experience with a roof replacement. At Eagle Watch Roofing, we aim to give you the best value. 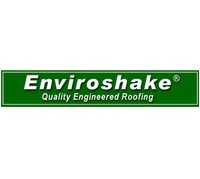 We offer a great roof at a competitive price. But any roof replacement is a significant investment, which means a quick payday for a scammer. All of these factors combine to make roofing a lucrative business for scammers and criminals. We’ve already told you in Part One about three common scams. To keep you from becoming a criminal’s next paycheck, we’re exposing even more of the most common and costly roofing scams. Many homeowners are intelligent consumers, and don’t want to spend money they don’t have to. A roof is a significant expense, and ultimately an investment in your home. So homeowners shop around to find the best deal. Eagle Watch Roofing encourages homeowners to look around and compare companies. 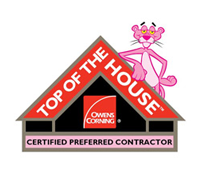 You deserve a great roof and a great value. But when a bid seems too good to be true, it probably is. All roofers have to make money, so if one roofer is bidding far below everyone else, you might ask yourself how they plan to make money on this job and how they can offer such a significant discount. A responsible homeowner does their homework and gets several bids. One bid is significantly lower than all the rest, so the thrifty homeowner goes for the best value. But soon, problems crop up. The roofer points to unexpected and unavoidable costs that force them to adjust their prices. They may claim that the cost of roofing materials has gone up since the original bid. Or they may claim that they found hidden damage once they started working on the roof. With their roof half torn up, the poor homeowner has little choice but to follow through with the scammer. The final cost of the roof ends up significantly higher than the other bids. A good roofer knows how much a job will cost them before they begin. Don’t fall for the fabricated story about increased materials costs. Roofers know well ahead of time when there will be a price increase on their materials. It’s our job to keep track of those things, and our profits depend on it. It is possible to find damage we didn’t expect, especially on the deck. The deck is the plywood sheeting that is the base layer of your roof, and we can’t see it until we pull up the shingles. If there is damage to the deck, it needs to be repaired, and the added labor and materials will increase our final costs. But the increase is actually included in our initial contract. Typically, deck repairs or replacement are about $1.50 a square foot. It’s a contingency that is set out in writing before we start. Always get your estimate in writing and make sure that you understand what will go into the roofer’s final invoice. Possible extra costs should be in the contract. Also, if a deal seems too good to be true, do lots of additional research to make sure it’s not a low-ball scheme. Homeowners don’t usually know much about their roofs. That’s one reason so many criminals pose as roofers. Another topic most homeowners don’t know much about is homeowners insurance. Almost everyone has it—it’s usually required with a mortgage—but few people really know the details. A roofer makes you a great offer. 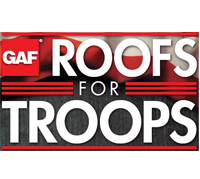 They will replace your roof at no cost to you. How do they do that? The roofer explains that they will take only as much as your insurance pays and then pay your deductible out of their own pocket. Or they may offer to reimburse you for the deductible. It sounds like a great value but beware. This trick is completely illegal. An insurance company will only pay for part of the roofer’s fee. The portion they pay is the roofer’s invoiced fee minus your deductible. If the roofer is invoicing the insurance company for the full amount of the roof and then paying your deductible, that means that they are, in fact, charging you less for the roof. So the insurance company should be paying them less. The details are a little complex, and we have a whole article dedicated to them here. But suffice it to say that there is no such thing as a free lunch—or a free roof. If your roofer is paying your deductible, they are committing insurance fraud. That is a serious crime that could land them and you with big fees or even jail time. Plus, it would invalidate your claim, and you would be left with the bill for the full cost of the work performed. This one is easy to avoid. All you have to know is that any insurance claim will require you to pay a deductible. If you’re not paying a deductible, someone is doing something illegal, and you are a party to it. Don’t do it. It’s just not worth it. Never get cornered into paying for a new roof. We all want to be nice to strangers, but don’t be a chump. Criminals don’t care about you, they just want your money. A door-to-door roofing sales rep shows up at your door unsolicited. They want to talk to you about your roof and why it needs to be replaced. The conversation quickly escalates, and soon you are in the midst of a well-practiced high-pressure sales pitch. There are some typical tactics. The sales rep will do everything they can to keep the conversation going. They know that as soon as you step away, their chances of making the sale drop tremendously. They may also ask you to get anyone else in the house who is part of the decision-making process. Again, if they let you go with a promise to talk to your spouse or someone else, they know you might not come back to complete the sale. If they can get all the decision-makers in front of them, they can push through a quick deal before you have a chance to get any competing offers or professional inspections. As with many other scams, your best defense is not to sign anything at the first meeting. Slow things down. Take a break to talk things over, get competing bids, and make a more thoughtful decision. Don’t feel threatened by a smooth-talking sales rep who just won’t leave. Recognize that you are the one with all the control in this situation. You have the power to walk away from the transaction, or at least take time to think. You also have the power to politely ask the sales rep to leave. If they keep talking and won’t let you go, you can assert your control and let them know that you will call the police. We all want to be polite, but don’t let a criminal run you over. We’ve just taught you some the scammers’ playbook. Of course, by now you may be feeling pretty suspicious of any roofer who asks you to trust them. As well you should. That’s why we don’t ask for your blind trust. We want you to do your homework on us just like you would on any roofer. Read our testimonials from real customers. 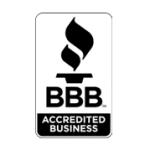 Take a look at our A+ rating with the Better Business Bureau. Contact us to get connected with real customers in your area who can share their experiences. We know that we need to earn your trust and your business. That’s why we use low-pressure, honest tactics and never ask you to sign something you’re uncomfortable with. We know that we do great work at competitive prices, and we are happy to serve you with a customer-first approach at every step of the way.